Schedule & work call backs easily. Email prospects directly from contact manager. Send voice enabled email. (Prospect hears your personal message when opening email). Search, Sort, Download, Store and transfer leads. Track every action with Lead History. Customize a Template to send your lead prospects. Take advantage of our themed sites and domains, to create one great website, and make it your own by simply replacing some content with your own words. 5 Customizable Templates to send your lead prospects. Take advantage of our themed sites and domains, to create FIVE great websites, and make it your own by simply replacing some content with your own words. Capture Page and Exit Page Pop-up Option with differnt form options available. Optional Ad Revenue by placing your online ads directly on your websites. Premium Support available by Support Ticket System, E-mail, and by Telephone. The Building Fortunes Affiliate program, gives people who are looking to earn more income an opportunity to sell our leads, systems and training to others in the MLM and Network Marketing industry. Check it out to learn about becoming a Building Fortunes Affiliate today! The Building Fortunes Radio Network assists entrepreneurs in building their business through the support of Internet Radio through our marketing channels, which include email, websites, blogs, classified ads, social networking, text, and phone. You can tune in live, or listen to recorded broadcasts, where you'll gain valuable insight into working from home, the MLM industry, Network Marketing, and more. Blog about whatever you would like to using one of our many styles. Have dynamic content added frequently. Take advantage of the collective collaboration of others. Youmongus Ads is one classified ads website that is part of the Youmongus Ad Network of websites. We have dozens of classified ad sites that help our customers to drive traffic to their products and services. The Youmongus Ad Network is a network of dozens of custom built Classified Ad sites. Each site has ads posted to it regularly. Traffic from the sites increase Search Engine results for our subscribers. Each site gets thousands of visitors every month and Youmongus Ads are displayed on dozens and dozens of additional websites. If you search for something online and see multiple entries for that item on the first pages of Google, Yahoo, Bing, Duck Duck Go and other popular search engines, it is likely to be the result of what we do on The Youmongus Ad Network. Some companies charge hundreds, even thousands of dollars every month, but we're not like other companies. You can get started with the Youmongus Ad Network for just $50 per month. The Making Sales Or Excuses Training lasts an entire year to give you the support you'll need to keep you focused. Once you have the habits and thoughts of success, you'll see why we have included 'The Refuse to Confuse' philosophy in the Training. We have been teaching Sales and Sales Management as well as Personal and Professional Development for 27 Years. We can teach it to you and your team. Go to www.MakingSalesOrExcuses.com to purchase the course now. MLM.news is your source for everything happening in the Multi-Level Marketing and Network Marketing industry. MLM News collects articles from around the web to help you stay up to date with what's happening in our industry. PM Dollars is a special rewards program where PM Marketing customers can earn "dollars" to redeem for products and services. You'll be earning 10% PM Dollars on your Leads orders. Give your PM Marketing Rep qualified referrals for PM Marketing business, and you will receive $10 PMD per qualified referral. Have a chance to express your own views about MLM. Learn more about what's going on in the MLM / Network Marketing industry. Comment and colaberate with others about hot topics in the news. The Network Leads Blog is mostly written by Peter Mingils with guest posts from various people including Vincent Mingils. It's our goal to give you useful tips and information to help you build your online, Network Marketing, MLM, Home Based Business opportunity. 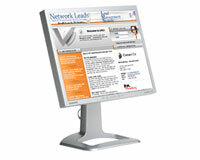 Our Network Leads blog has frequently updated posts on all kinds of topics, be sure to check it out. Have any questions? We can help you, just click on the chat button, or give us a call at 386-445-3585 and speak to Peter or Vincent Mingils directly.